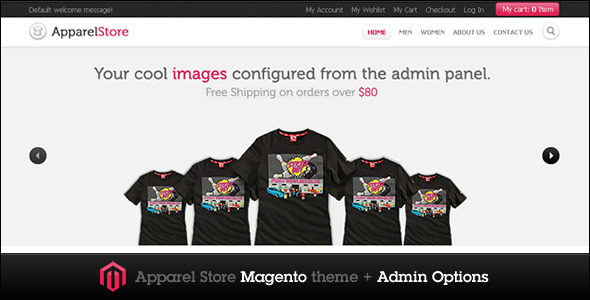 Apparel Store is a Magento theme for clothing/apparel stores. It comes packed with its own Admin Module to easily install, configure and update the site. 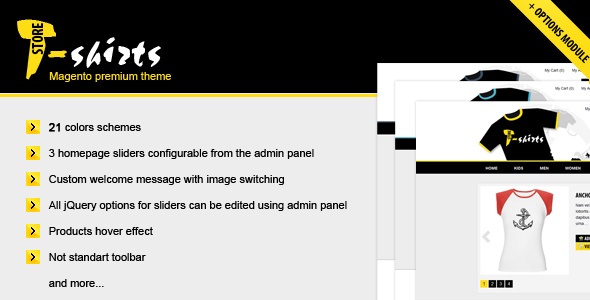 Homepage slider configured from the admin panel. You can either upload images or add plain html. You can also disable the slider. In-built Featured products on Homepage. You can set the number of Featured products to display from the admin options. Latest products on homepage. The latest products are sorted by latest first. No need to add “New to date” or “New from date”. Just add your products and the block will update automatically. You can set the number of latest products to display. Dynamic link for cms pages on top. Product view page: Custom selection for color and size. This works for custom options only. Facebook Like button and Twitter button on product page. Support Magento CE version 1.5.0 and higher. Block my cart is in the header. Features Quickview. 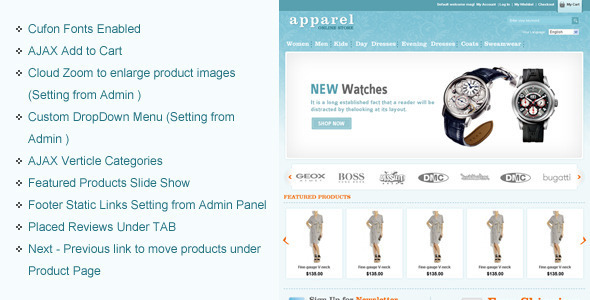 Add products to the shopping cart without leaving the homepage or a category page! 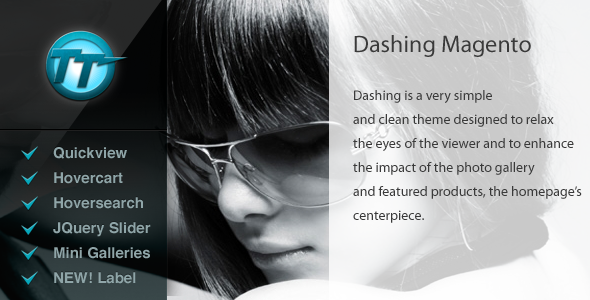 Dashing is a very simple and clean theme designed to relax the eyes of the viewer and to enhance the impact of the photo gallery and featured products, the homepage’s centerpiece.